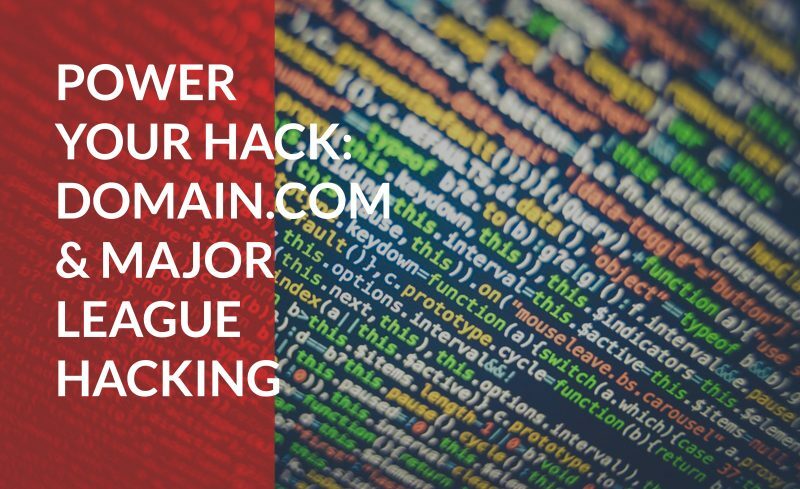 Domain.com is proud to support Major League Hacking and their mission to empower student hackers. You are the next generation of up-and-coming progressive thinkers. Your path to success starts with Major League Hacking and a great domain name. To redeem your free domain name and domain privacy coupon code, follow the below steps. For questions or issues, email our dedicated support team at MLH@endurance.com. NOTE: Do NOT use PayPal as your payment method to receive the free domain name and privacy. A valid credit card is required for the domain registration. Who should I contact in case I have issues? We have a dedicated MLH support team that can be contacted at MLH@endurance.com. Be sure to include your domain name when describing the issue you’re experiencing. I was charged for my domain name. How do I get a refund? Please email MLH@endurance.com and be sure to include your domain name. The two most likely scenarios are either PayPal was used to make the purchase or the product purchased is not valid for the discount. Please remember that the coupon is only valid for new .com, .net, or .org domain registrations that are not premium domain names. What can I do with my domain name from Domain.com? How do I prevent unwanted domain renewals? Change your account settings to be Manual Renewal instead of Auto Renew. Directions can be found here. *Limited time offer. MLH coupon and offers end June 30, 2019 at 11:59 p.m. Pacific. MLH coupon is good for a new, one year registration of a .com, .net, or .org domain name with one year of Domain Privacy. No minimum purchase required. Maximum savings is $18.98 per account. One coupon redemption per account. All renewals on products and services after the initial discounted period will be charged at the current standard list price for the selected period. Coupon is not valid with sunrise registrations, landrush registrations, EAP registrations, pre-registrations, premium registrations, renewals, transfers, custom web design, or special pricing.